We’ve talked about our Grid System and how crucial it is for our redesigned user interface. Today we are going to cover the color palette we’ve chosen to paint our backgrounds, our buttons, and the overall look and feel. This topic gets entry number two on our series because, much like sizes, paddings and our unit to build a layout, color is one of those areas that eventually ended up trickling down throughout all of the work built on top of it. I highly recommend reading Ian’s piece. I remember reading this 5 years ago when I was still day-dreaming about switching from being a programmer to a designer. I have never used #000, pure black, in any of my work since. This time wouldn’t be any different. We ended up deciding on this dark blue, it works well on a large footprint, like our background header, and it’s dark enough to pass as a very neutral, basic black for text. With this basic unit set, we needed a palette of different shades of such color, to provide a larger pool of contrasts and options to play on hierarchy and weights. For the most part of our development process, we were using the equivalent of 100/70/50/30% opacity on a white background, but for some reason it wasn’t working in some situations. This made us try the Material Design specs, and it worked pretty well. Now we are using 87%, 54%, and 38%. If you work at Google, or if you know how and why Google’s designers arrived at these values, I would love to know, because they don’t make sense to me, but I know that they actually feel pretty good on the eye. We were still missing one last shade, our background. As you may know, a big part of our new User Interface is the use of Cards, which we will cover in more detail on a future piece. These cards from day one had a pure white, #fff background color. We all agreed on that. Now for a card with a pure white fill to have some contrast with the background (and not be swallowed by it) the background needs to have a different shade. We tried our best at striking a balance between a very light background, something that just blends in and disappears, and being different enough from the cards’ pure white color. So we decided on our black, our base color, with a 2% opacity over a white background: #FAFBFB. Almost there — we now just needed a splash of color and life in it. We need color to make any element stand out, convey meaning and intent, guide and help our users. And look pretty. I’m going to cover the actually design of our UI elements on a dedicated post, but from very early on we wanted to simplify our color palette and really nail down the colors that we needed. We decided on three colors. Picking these was very easy to me thanks to the wonderful work from my partner in crime Eli, and his great work put in the marketing site, the site you are most likely currently looking at. 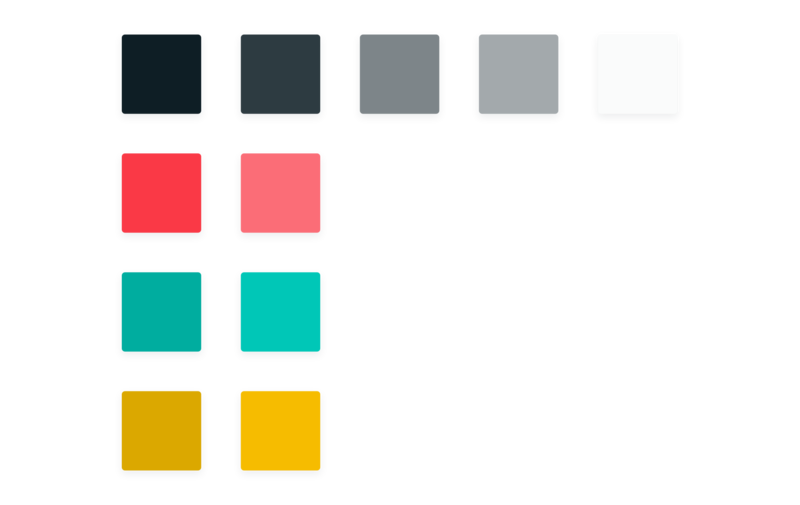 I only had to get some stronger darker shades of our colors for specific elements, because a completely filled green button behaves very different from a thin block of text with the same color. In Sketch, by adding this palette to our Document’s Colors, makes it so easy to detect when something is off (because the selected color gets highlighted in the grid), and makes it so fast to get in, pick the right color, and get out. In the end, I’m pretty happy we arrived at this palette. It’s simple and obvious which means it get’s out of the way and simplifies the rest of the design work. Kicking off this Design Series with our grid system — the building blocks, the scale that will be used to make a lot of layout decisions, keep a coherent look throughout the app, and make implementation a lot more simple. Who Moved My (Cheese) Manual Deploys? With our new User Interface, some elements were moved around. Here's how you perform a Manual Deploy.